The month of February is set to be a busy one for the smartphone world as not only do we have the upcoming Mobile World Congress event taking place, there are now claims of a launch date for the LG G Pro 2 that could be as soon as next week. We have been hearing a lot of news about the LG G Pro 2 in the last couple of days that include the camera specifications, and talk that the display we be virtually edge to edge with extremely thin bezels. Now it is being claimed that LG has been sending out invites to an event taking place next week on February 13th at the LG Twin Towers in Yeouido, Seoul. The invites have a subtle hint to the LG Knock On feature that allows owners of the handset to wake it up by quickly tapping twice on the display, which is a feature rumoured to be coming to the LG G Pro 2. The handset is rumoured to be coming with a Full HD 6-inch display bringing the LG G Pro 2 up against the likes of the Samsung Galaxy Note 3, and will supposedly have the Qualcomm Snapdragon 800 quad core processor with 3GB of RAM powering that screen real estate. LG will be looking to make a claim for a bigger slice of the smartphone pie this year as the LG G3 is rumoured to be coming with a Quad HD display when it arrives around May. 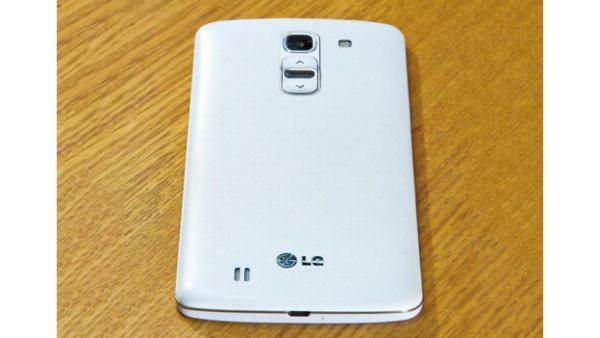 Do you like the sound of the LG G Pro 2?